Just who are the ‘buffoons’ on Welsh labour’s new blog? Welsh labour’s new blog Aneurin Glyndwr is crap. That’s the consensus among journalists and the wider blogging community in Wales. 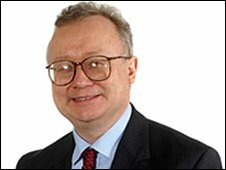 From the risible duo of MEPs Eluned Morgan and Glenys Kinnock trashing Tom Jones’ hit Delilah – ditched due to copyright infringement – to puerile comments about other politicians, including south Wales anarchists, this blog is certainly not the ‘modern platform for the politics of the progressive left’. You can’t even leave comments which flatly contradicts the authors’ proud boast of creating ‘a positive and constructive debate about the future of Wales’. 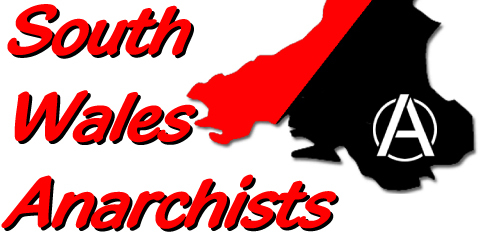 So what of labour’s claim that south Wales anarchists are buffoons? We invite readers to consider the issues we’ve raised and make their own minds up. Back in January we revealed the hypocrisy of our assembly members (AMs) whose £10 million pension pot (paid for with our money) is being invested in companies which are among the world’s worst polluters and human rights violaters and include Shell, BHP Billiton and Atlas Copco. Since the last assembly elections we’ve campaigned against the abuse by AMs of the £12,000 per annum additional costs allowance, which permits a number of them to trouser serious amounts of money, buying and selling second homes at the taxpayers’ expense. 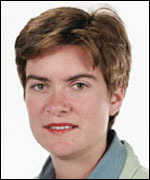 Welsh labour’s Huw Lewis and Lynne Neagle are among the culprits. We’ve consistently exposed the crass behaviour of south Wales police. We vigorously opposed the illegal war against Iraq, while welsh labour politicians dithered. We’ve written extensively about the growing militarisation of Wales, a pet project of Rhodri Morgan. Wales is now home to 180 arms and aerospace companies, a very worrying development in our opinion and one which needs to be stopped. Millions of pounds of taxpayers’ money are being channelled to weapons manufacturers, such as Raytheon and BAE systems, with links to some of the most brutal regimes in the world, including Israel. In the meantime the welsh economy is left to go down the pan. 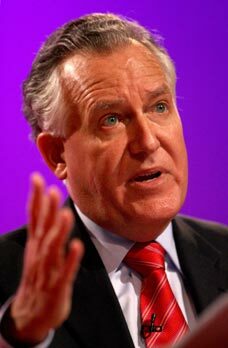 Perhaps those behind the blog: Peter Hain, found guilty of a ‘serious and substantial’ breach of parliamentary regulations after failing to declare £100,000 of donations to his dismal deputy leadership campaign, MEP Eluned Morgan, ex-Plaid Cymru member, Alun Davies AM, who accepts ‘hospitality’ from US burger chain Macdonald’s – flying in the face of assembly attempts to tackle obesity – free clothes and opera tickets, and ex-liberal democrat Leighton ‘piggy’ Andrews may like to respond to the issues ‘buffoons’ like us have raised? They’re free, of course, to leave comments on our blog.